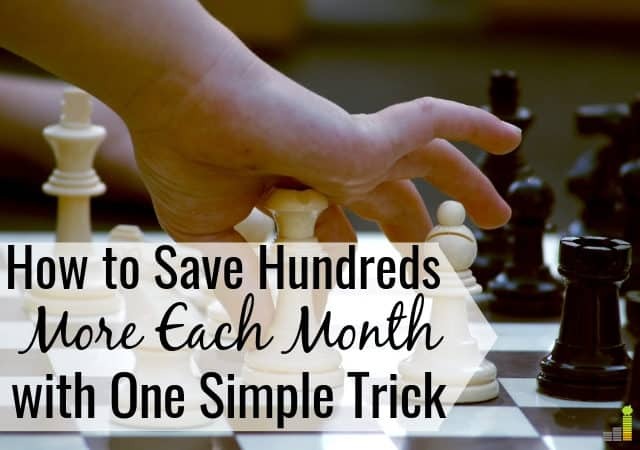 Thankfully, you can do a simple exercise to get a better idea of how much you should save every month. The first thing you should do to answer the question “how much should I save per month” is figure out what you’re saving for. This answer varies depending on your current circumstances. However, many people are working toward similar financial goals. Most people want to be able to quit working and retire at some point. This is the biggest financial goal for which you need to save. Since the goal is so far away, you should start saving for retirement as soon as possible to take advantage of things like compound interest. Even though you’ll invest your money rather than save in a traditional saving account, the money will still come out of the savings part of your budget. When deciding how much you should save per month, make sure to consider money allocated for retirement savings and investing. The next biggest thing to save for is usually buying a home. If you already own a home and don’t plan on purchasing another one, you can skip this section. Similarly, if you have no desire to ever own a home, you can skip this section as well. However, if you don’t currently own a home and want to become a homeowner, you need to start saving to reach this goal. To secure the best interest rate on your mortgage and avoid private mortgage insurance (PMI), you need a 20 percent down payment. On a $200,000 home, that’s $40,000. Once you add in closing costs, you need even more cash to buy a house. If you plan on buying a home sooner than later, the best option is to keep your money in a savings account. This major goal definitely needs to be accounted for when determining how much to save each month. Beyond retirement and buying a home, saving to send children to college is an important goal for many parents. After all, the cost of college is rising faster than inflation. If your children are young, you likely want to invest to reach this goal. However, if your children are near college age, you probably don’t want to risk losing money so saving may be the better option. Either way, this money, like your retirement savings, will be part of your savings budget. While saving or investing for your child’s education is admirable, it should not take priority over saving for your own retirement. Saving to buy a car is a often a necessary goal for most people. The average car payment is over $500 per month. You want to do all you can to lower that amount when it comes time to buy your next car. If you want to replace your car in the next few years, it makes more sense to save this money in a savings account rather than invest it in the stock market. Don’t forget about saving for an emergency fund. If you don’t have an emergency fund at all, this should be your top priority. If you’re unsure how to build one, here’s what you do. First, aim to save $500-$1,000 so you can avoid going into debt for minor emergencies. Next, make sure you pay off your high-interest rate debt. Then, use the portion of your budget dedicated to savings to build a three to six month emergency fund. Along the way, there will be plenty of smaller goals to save for, too. Healthcare bills and deductibles, vet bills, vacations, and more. Typically, these will be short-term goals that you should save for each month so you have the money available when you need it. Make a list of all of these potential smaller goals so you can budget your savings accordingly. Once you have a full list of the financial goals you want to save or invest for, it’s time to move on to the next step. How Much Money Should You Save Each Month for Each Goal? Listing your financial goals is the easy part of the exercise. The hard part is deciding how much to save for each goal. If you want to fully fund all of your goals at the same time, you have to save a huge portion of your income. For most people, that’s not possible. First, take your list of financial goals and assign a timeline to each goal. In the beginning, make the timeline your ideal timeline but realize that things happen and these timelines may change. The number you end up with may be overwhelming. Take it one goal at a time and remember that saving money every month is a marathon, not a sprint. Once you have a timeline and the dollar amount for each goal, you can begin calculating how much money you need to save or invest every month to reach each goal. Keep in mind, longer-term goals for which you’ve decided to invest rather than save will have investment earnings. Make sure to factor these earnings into your calculations when deciding how much you need to invest each month. You can take advantage of free investment tools online to help you determine how much you should invest each month. It’s much easier to calculate how much you need to save for your goals when you put money into a savings or money market account. Although you’ll earn a small amount of interest on these accounts, do not count the interest when determining how much you need to save each month. To decide how much should you save each month to reach each goal, take the total amount you need to save and divide it by the number of months you’d like for it to take you to reach your goal. Do this for each item on your list. Once you’ve calculated how much you need to save each month to reach all of your goals, you must determine the best way to track your finances. Doing so will help increase chances of success. For some people, reaching these financial goals is super important. 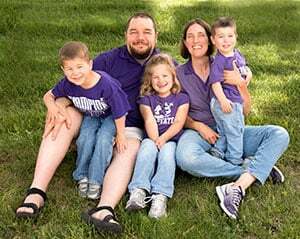 They may decide to save 50 percent or more of their income so they can reach their goals on time and retire early. Others don’t have the ability to save a large percentage of their income. They may only save 15 to 20 percent (or less) of their income. These people typically have to wait longer to reach their goals and they may have to wait until full retirement age (or later) to retire. Whether you fall into the first category or second, you need to decide how to divide up your savings among your goals. Keep in mind, when investing for big goals like retirement, the money you invest early on will have the largest impact on your final balance. Some people may not be able to save any money at all. If this is you, your financial goals may be on hold until your income increases or you lower your expenses. Don’t let that discourage you! Use your goals as motivation to adjust your finances so you can save money each month. Each person has different priorities, and, as such, you have to decide for yourself how much money you should save each month. If you’re struggling to determine how to save, check out our guide on the best ways to save money each month to find savings opportunities. Go back to the list of goals and timelines you initially created. Adjust the timelines and goals until you have a list that is both realistic and makes you happy. If you can’t reach your goals fast enough, consider using a service like Tiller to get your spending in check. Tiller connects to your bank account, pulls all your transactions and puts them in a Google Sheet. This lets you stay on top of your spending so you can find opportunities to save more money each month. If you’re looking for a place to keep your short-term savings, you want to make sure your money is safe but earning interest. 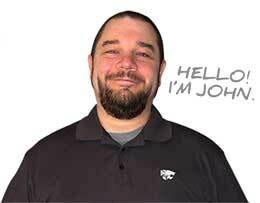 Two great options include online savings accounts and money market accounts. You don’t want to overlook using a brokerage account, either, to save for retirement. Barclays: Barclays currently offers a savings account with 2.20 percent APY (22x the national average) and no minimum balance. You can open an account with as little as you want and start saving. CIT Bank: CIT Bank offers both savings accounts and money market accounts. You can open a money market account with CIT Bank with as little as $100, and they pay 1.85 percent. Money market accounts provide the same liquidity as savings account, but also offer check writing privileges. Money markets also offer the same FDIC coverage as savings accounts. Check out our CIT Bank review to learn more about how they work. Ally Invest: Ally Invest, formerly known as TradeKing, is a great option to start saving for retirement. With over 8,000 mutual funds, Ally Invest also has a wealth of free tools to help manage your investments and an industry-low commission of $4.95 per trade. There’s no minimum balance requirement. Check out our Ally Invest review to learn more about how they work. Chances are, unless you have a huge income or you live on substantially less than you earn, you won’t be able to save enough to reach all of your financial goals in your ideal time frame. But that doesn’t mean you shouldn’t try. 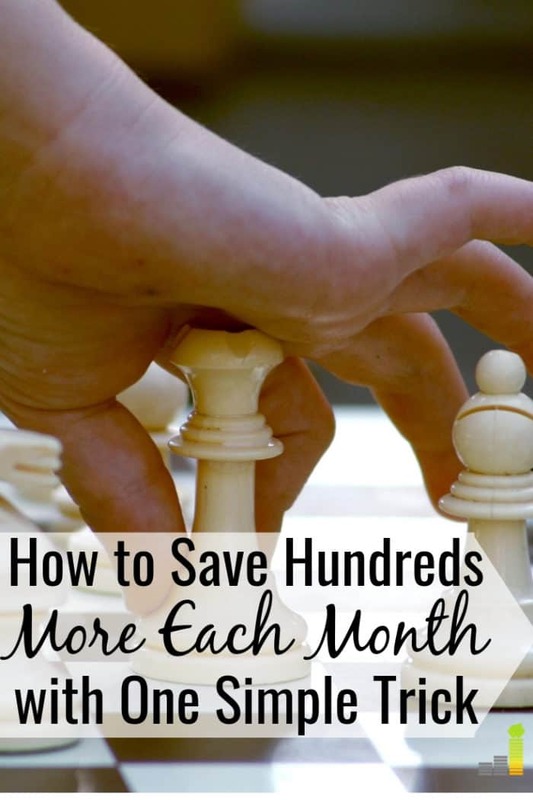 Exactly how much should you save each month? While that’s up to your individual circumstances and goals, I believe everyone should try to save at least 20 percent of their income per month. The more you can save, the better. It’s important to realize that saving for your financial goals isn’t stagnant. Once you figure out how much money you can save each month, start playing the chess with your goals and timelines. Rearrange them to find a scenario that works best for you. Since factors like income and expenses change, make sure you regularly reexamine your goals and timelines to see how you can optimize your savings. As your income grows, dedicate that extra income toward the savings goals you’ve had to put on hold. If you optimize your expenses, use the savings to accelerate other goals, too. In the end, you’ll reach your goals and be happy you made the sacrifices to do so. In your opinion, how much should you save every month? How much money do you save every month? What’s one overlooked thing you think many miss when trying to increase savings? I have no idea how much we need to save, since we’ll move to the US in 3 months and I still don’t remember how much it all costs (we stayed there 8 years ago). We’ll try to get an emergency fund up and running, get money for all the taxes and slowly build from there. After few years we can think about a car or better rent, then start saving for daughter’s college.